A reliable, stable and predictable cooking platform adopted worldwide by major national and international Fast Food and Quick Service operators, with many independent outlets and small chains also choosing to make the investment. 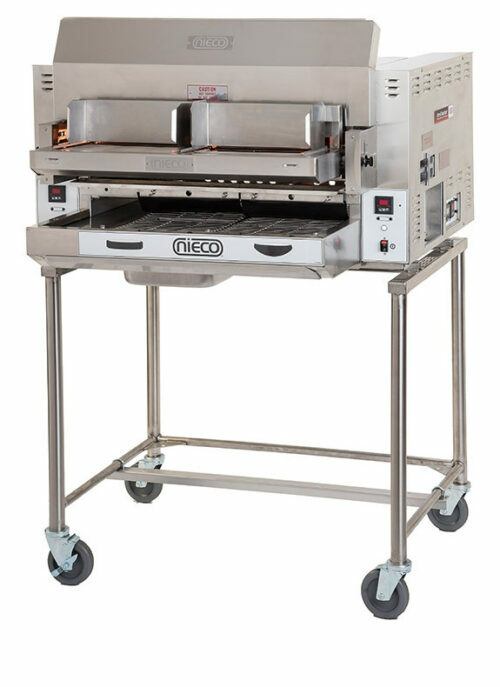 Nieco’s automated conveyor broiler technology revolutionised burger cooking since its development in the early 1970’s offering operators consistency of finish, temperature control, and labour savings unachievable by many other cooking methods. 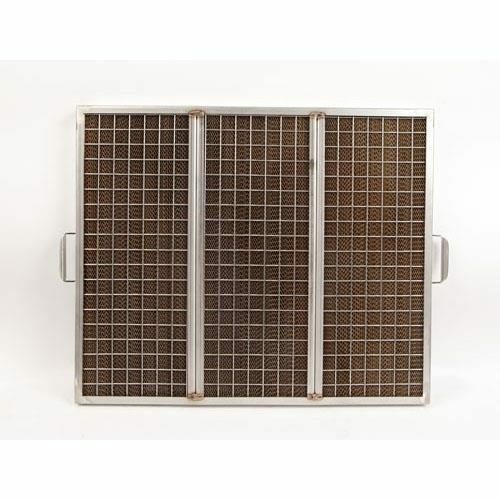 A significant development was the introduction of the Nieco Incendalyst™ a Broiler emission control device designed to efficiently capture circa 90% of emissions and reduce exhaust hood build up and cleaning costs. 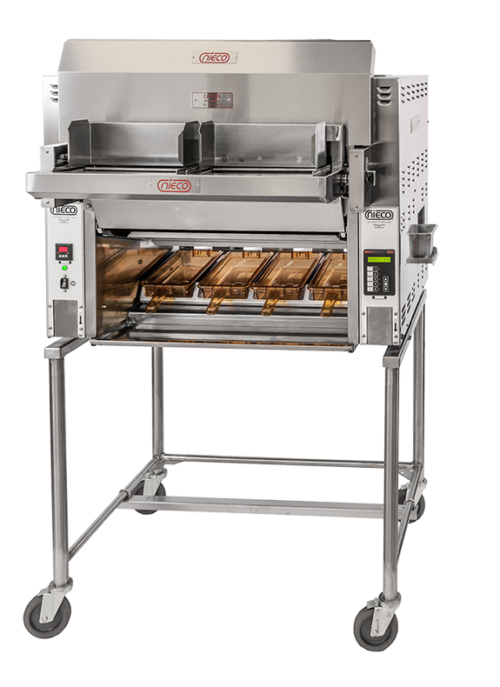 Recently developments include the introduction of the JF (JetFLOW) Flex Broiler models (including an entry level/menu expansion JF1). The wide choice of models have proven a hit not only for regular burgers, but for many other foods such as Specialty Burgers (from fresh or frozen); Steaks of all meats and all cuts; marinated Chicken; kebabs; some fish fillets; fresh tomatos; mixed Mediterranean vegetables; large hot dogs; ‘finishing’ Sous Vide cooked products; and probably many other foods not tested yet. 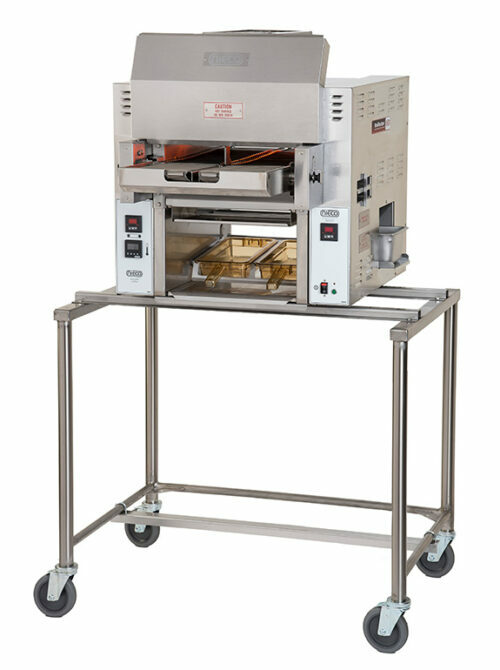 Automatic Wire Belt Feeders also means operators can pre-load product and do other tasks whilst that load is fed into the broil tunnel; another feature is the Automatic Burger Feeder suitable for processing frozen IQF burgers in batches. Again releasing the operative to complete other tasks.